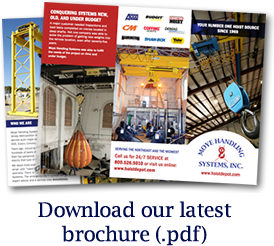 Moye Handling Systems is an overhead hoist & crane specialized service provider serving the New Jersey Metropolitan Area for over forty years in addition to the Midwest. We service such major end users as PSE&G, NYCT, MTA, DOE, Exxon, Conoco, GE, NJ Transit and many others. Years ago, industrial organizations would boast hundreds of years of collective experience among their top personnel. 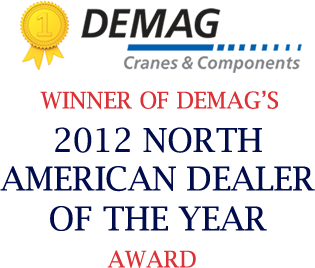 Moye Handling Systems offers exactly that type of expertise.